The first time I’ve heard about the dead second was in 2012. 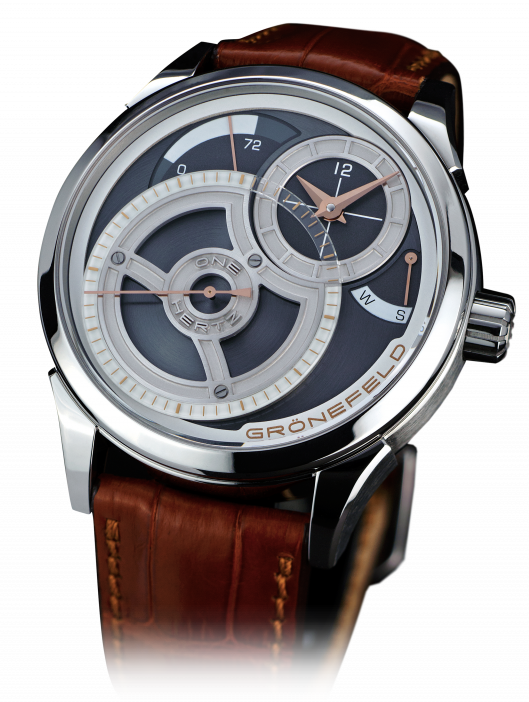 It was the One Hertz 1912 of the independent Grönefeld brothers. I saw some pictures and some short clips and I was thrilled. At that point, I was just starting scratching the world of watches and the amount of information was so high that I lost track of the horological brothers for at least a year. But from time to time I remembered that crazy seconds hand jumping between the lines of its independent dial (subdial – more precise). Meanwhile, they reissued the One Hertz Classic in several variants, all being a pleasure for the eye. 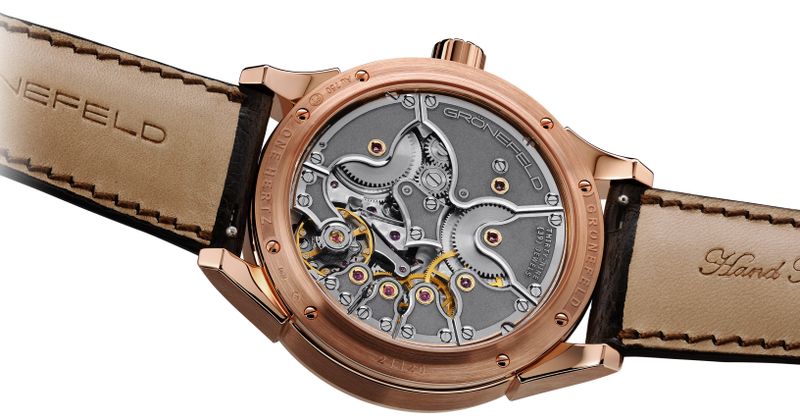 A few days ago, I remembered my love for this dead second complication and I decided to give her some time on my blog. 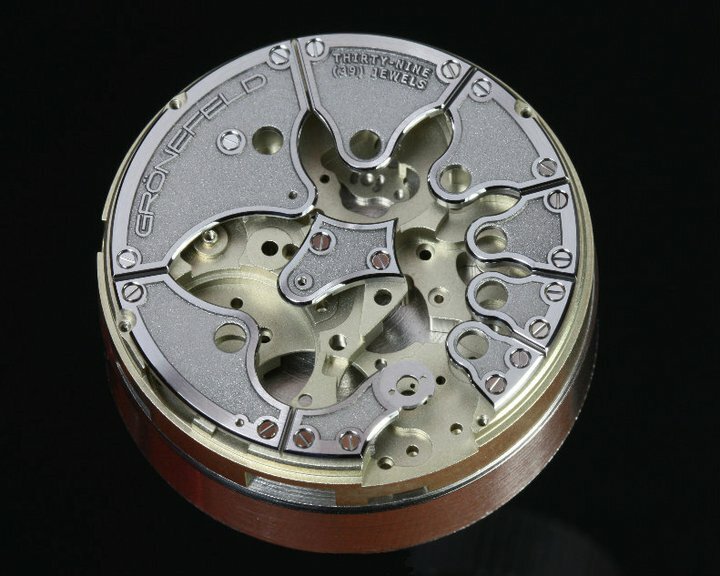 On the Foundation de la Haute Horlogerie website I found out that this complication is not new (which I knew, but didn’t know how old it actually is) and it was first ‘used’ by pendulum watches. In 1754, in Romilly’s dead seconds watch, the central hand made one jump a second. 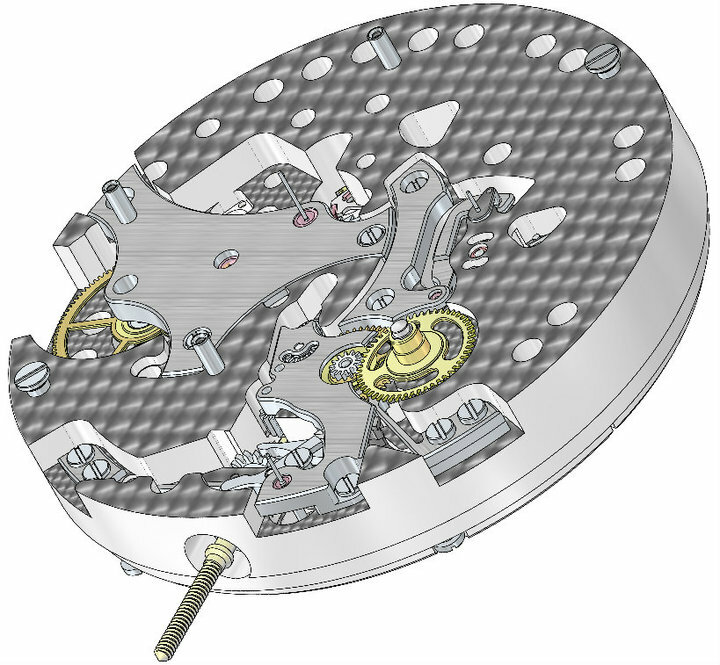 22 years later, Jean-Moïse Pouzait presented the principle of the independent seconds using a separate gear train that allowed stopping the seconds hand. 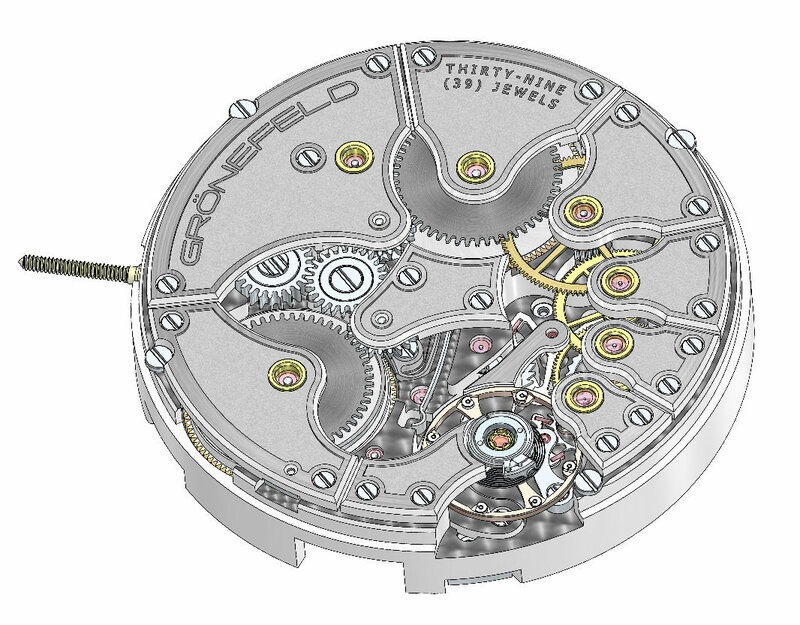 This was the leading idea for the chronograph complication. 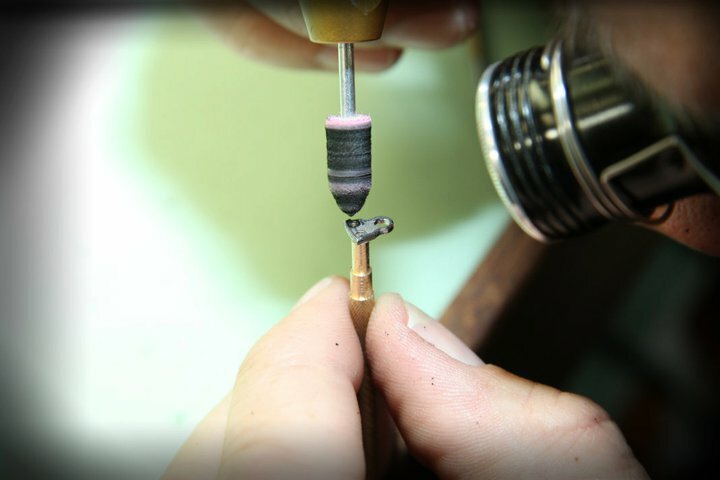 On the Habring2 website is stated that the dead beat second was invented in the 50’s and used by the doctors for pulse measuring and the main movements producer was Chézard (named by the city of Chézard, where this manufacturer was based), member of Ebauches SA till 1969. That made me think that maybe, the very rare Rolex Tru-Beat caliber from the 50’s has their signature (but I don’t have any info about this). 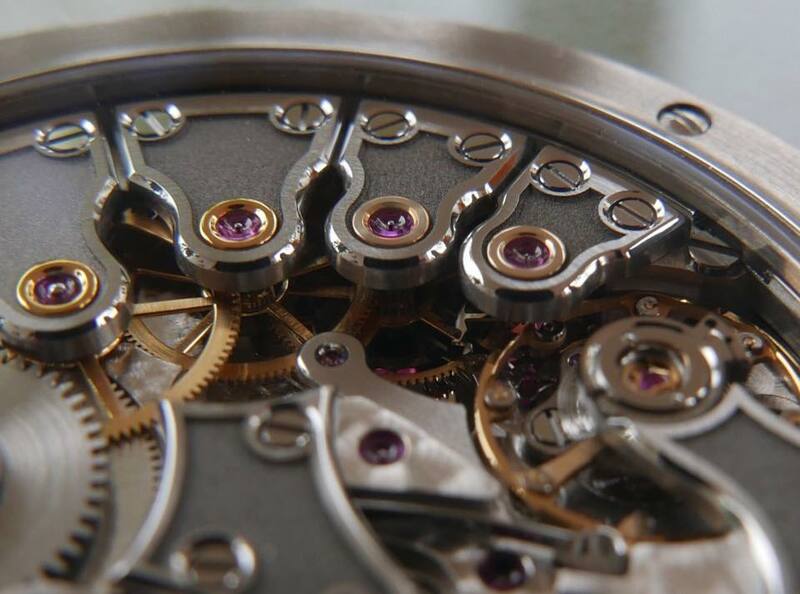 Starting with the quartz era, this complication fade out and even now it can be confused with a normal quartz caliber. Since a few years, this complication is gaining more and more sympathy and can be found in many brands. 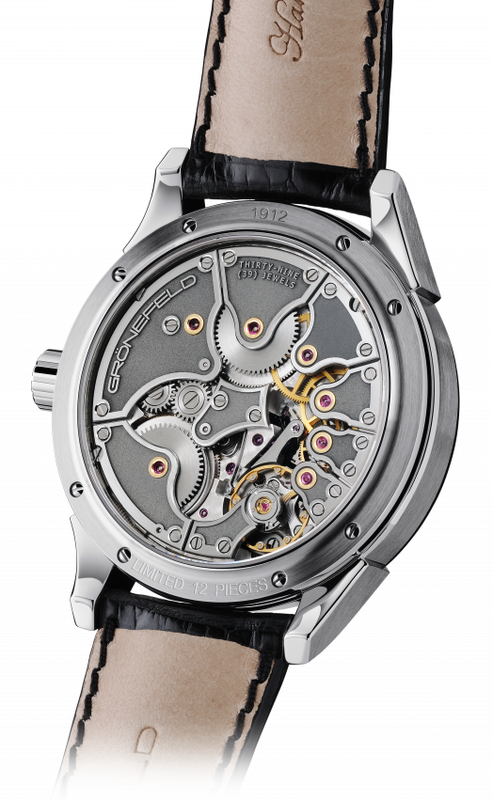 In 2005, Habring2 started a collection of jumping seconds watches based on caliber ETA/Valjoux 7750. De Bethune use also this complication in their DB16 collection and in DB25 Dead Beat Tourbillon Regulator, Jaquet Droz in Grande Seconde Deadbeat, Audemars Piguet in Millenary Escape “Dead Beat Seconds”, Panerai in PAM00080, F.P. 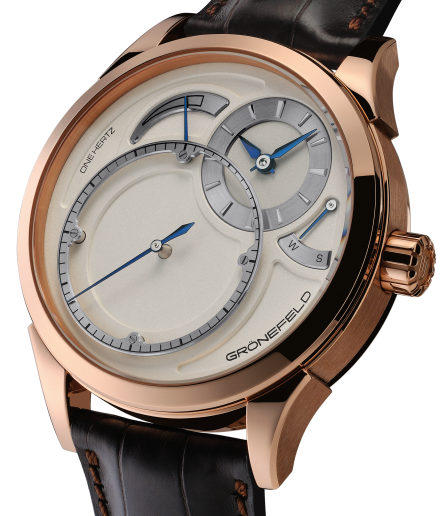 Journe use it in Tourbillon Souveraine Collection and Chronomètre Optimum. 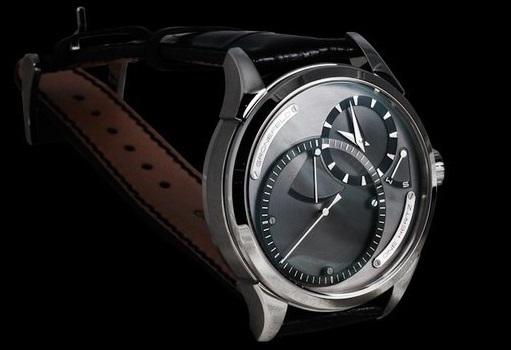 Angelus watches chose this dead beat second in their comeback U10 Tourbillon Lumiere. These were only a few examples since the list is long and includes names as DeWitt, Arnold and Son, Patek Philippe, Leroy, Andreas Strehler, IWC and others. 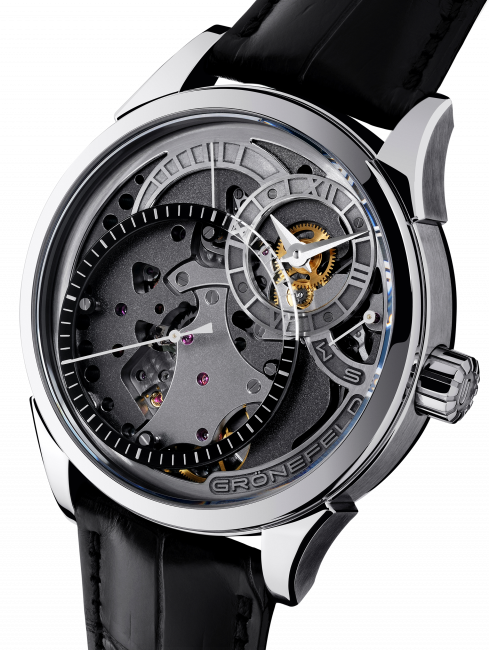 Now, many of the brands have this complication, but in 2011, when Grönefeld brothers announced their One Hertz, the market was poorer from this point of view. So what makes this watch special? 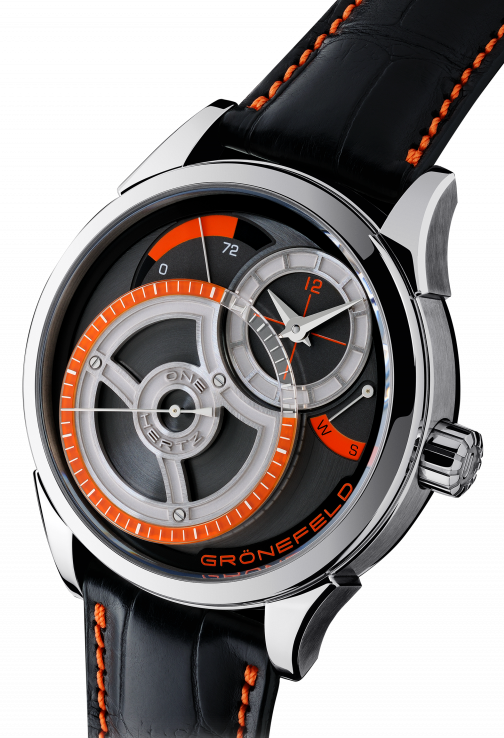 – It’s the second watch designed by the independent ‘horological brothers’ Tim and Bart Grönefeld. Why is it that important? 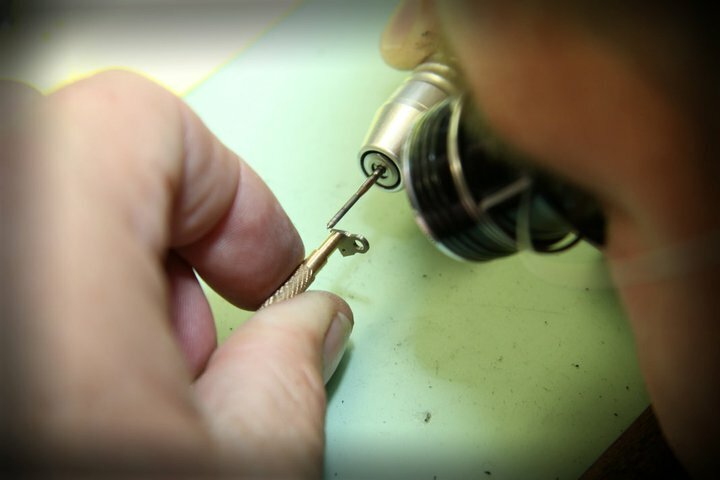 Because being an independent watchmaker is not easy. It means character strength, it means going a niche which offers satisfactions and great risks for both sides: the watchmaker and the owner. The brothers have been trained and worked for prestigious Swiss brands before making the independence step with their GMT-06 tourbillon watch. – It’s a winner! 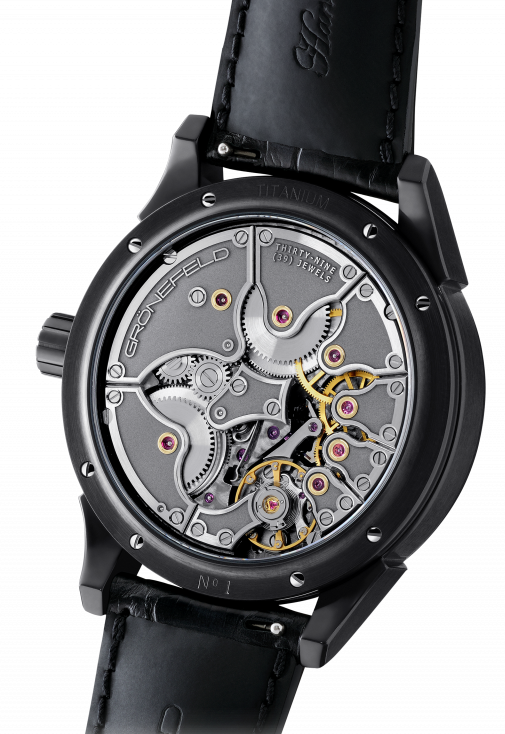 The Innovation Prize of the 0024 WatchWorld ‘Watch of the Year’ contest. Second place as readers choice award from the iW Magazine. 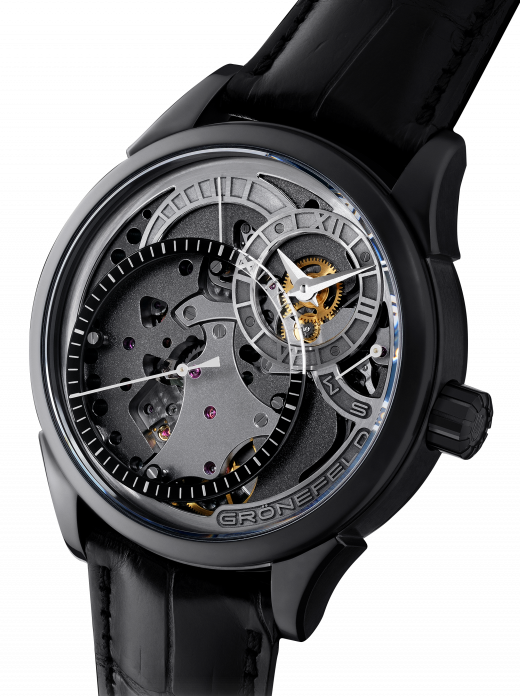 – Its unique design is highlighting the “secunde morte” complication. – It has an inhouse caliber, the G-02, created by the Grönefelds. The movement is an interesting combination between beauty and robustness, The finishes are of the highest grade and offers great pleasure for the eye of a fine observer. 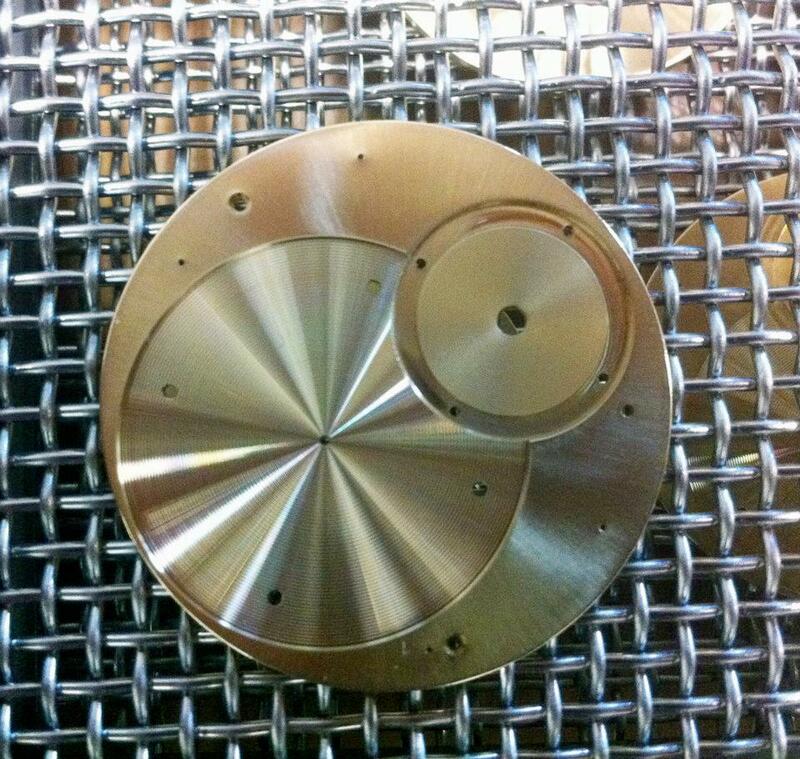 The main plate is rhodium plated nickel silver (so called German silver) with a perlage finish (spotted and snailed). The bridges are from high quality steel X46/Cr13 which assures very nice and durable finishes but it is also hard to work. 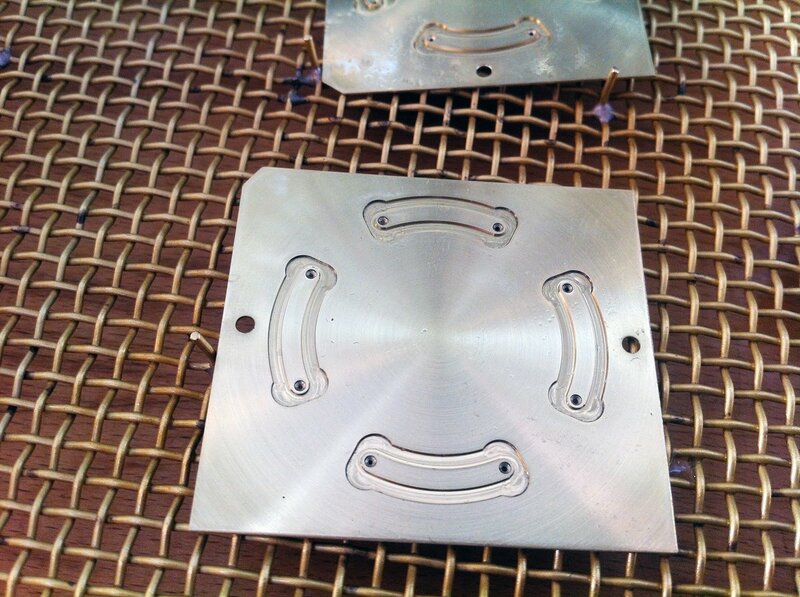 The steel plates are drilled and milled and then the outer shape is made using an electro-eroding cutting machine. 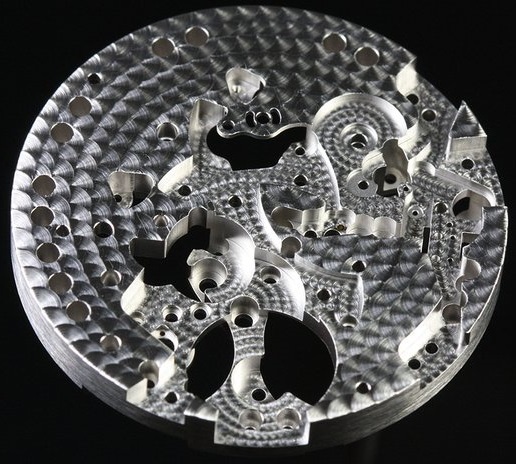 The resulting pieces are hardened and tempered, laser engraved (and soaked in a special acid to eliminate the heat discolorations caused by engraving). 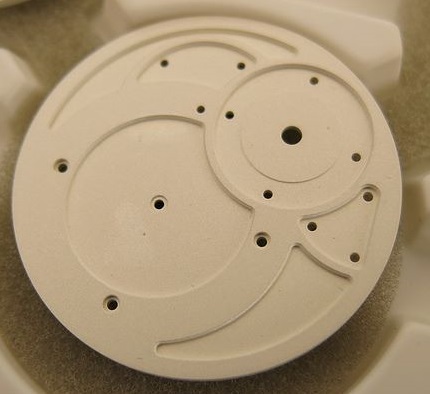 For obtaining that beautiful frost, the plates are micro-sandblasted underneath and on the surface and the bevels are smoothed with sandpaper and polishing paper then polished to a very high gloss using felt disks and polishing paste. Bart is explaining the finishing process: Screw head holes are chamfered, polished by wood and polished to a high gloss using a felt disk with polishing paste. Sides of the bridges are smooth using a diamond cutter and fine sandpaper. Bridges are screwed on a working mainplate and the circular graining is done on the surface of the bridge. 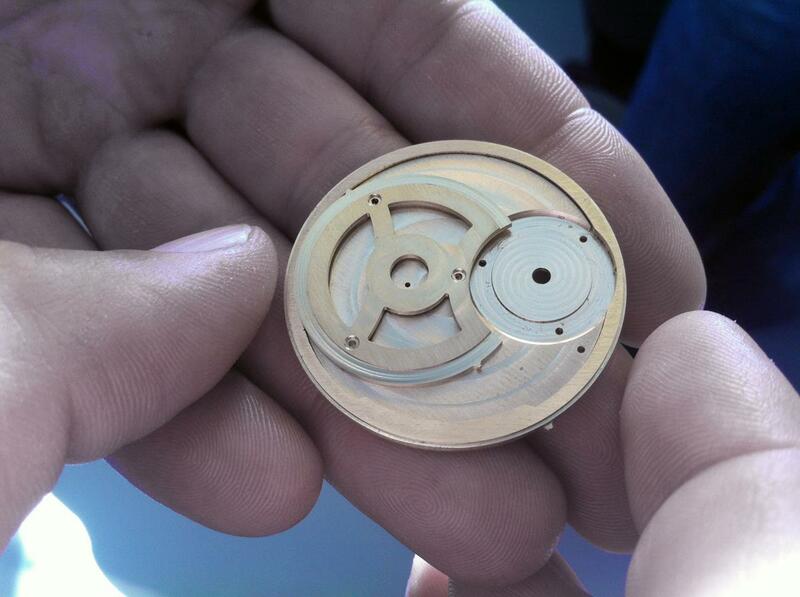 The dial is machined and hand finished. 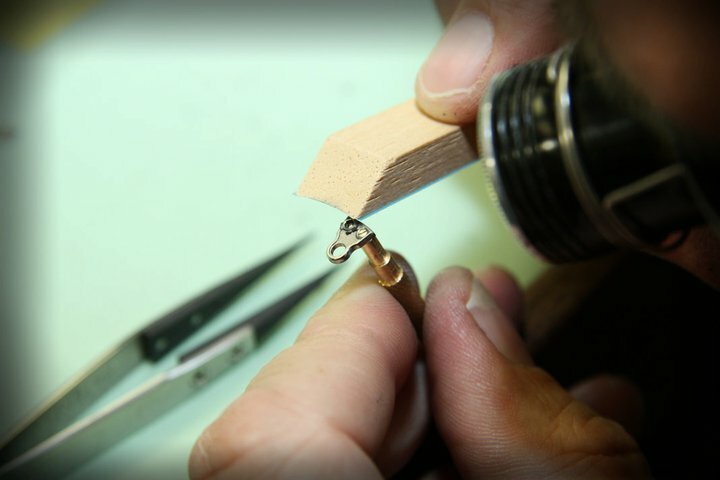 During different stages, the dial and dial components are lacquered several times to preserve the previous finishes. The final finished dial of the 1912 features a large second counter with a sapphire ring, hours and minutes on the subdial placed a two o’clock, the winding/setting indication at 3 o’clock and a power reserve at 12 o’clock. The sapphire ring (at the latest version, with the butter color dial, the seconds ring is Rhodium plated with circular graining and beveled edges; images below), together with the antireflexive treated domed top sapphire, gives a deep perspective of the dial, making it easier to read and highlighting the dead second and, at the same time, the raised dial makes an even easier and more precise reading of the seconds. The G-02 caliber, solves the issue of the ‘seconde morte’ affecting the escapement and the free sprung balance by using a secondary gear train with it’s own power supply barrel (instead of a constant force device – ‘remontoir d’égalité’). At the end, those two barrels (wound in the same time and direction at the same speed) offers via a classic Breguet mechanism (a cone moving up and down on the threaded barrel arbor) a power reserve of 72 hours. And this is impressive. The balance wheel is a free sprung variable inertia balance wheel in 9.12 mm diameter with a spring using Phillips terminal overcoil curve and triangle-style stud, beating nice and steady at 21’600 vph. (the watch tick can be heard on the presentation movie below). The balance wheel in particular have an interesting construction and it is beautiful. When the case-maker of the One Hertz saw the caliber said: “This is like the engine for an Aston Martin and I’m really proud to have delivered the body for it“. 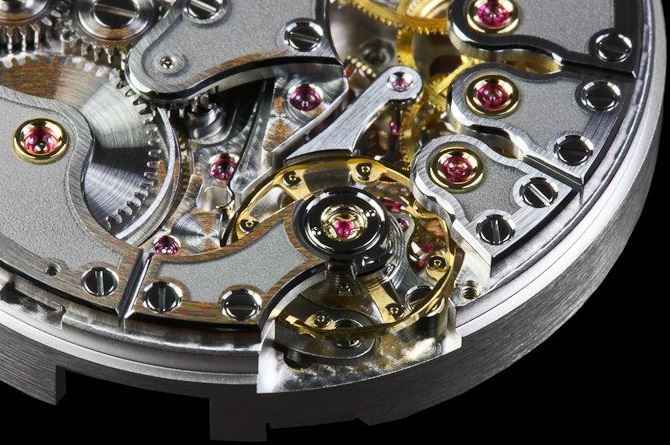 The G-02 has 39 jewels in gold chatons (from 285 components in the whole movement), it is a hand wound movement with a Swiss lever escapement. 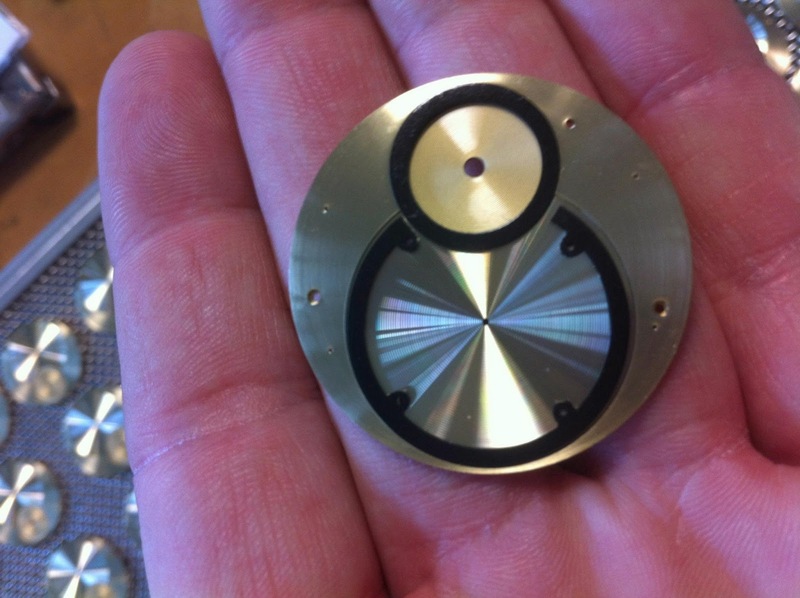 The dimensions are: 9.5 mm thick and a diameter of 34 mm. 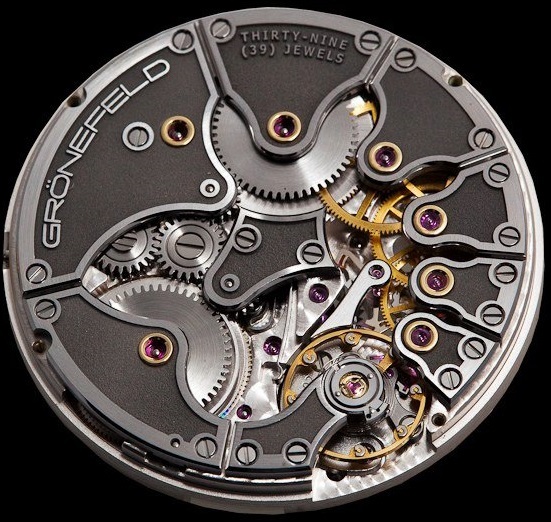 Another interesting feature of this movement is the crown’s push system (engraved with the “g” logo) used to choose between the winding and setting the time. When ‘S’ option is chosen, the seconds hand is stopped so you can precise set the time. This is a welcomed feature since setting the time when seconds hand is flying is sometimes frustrating. 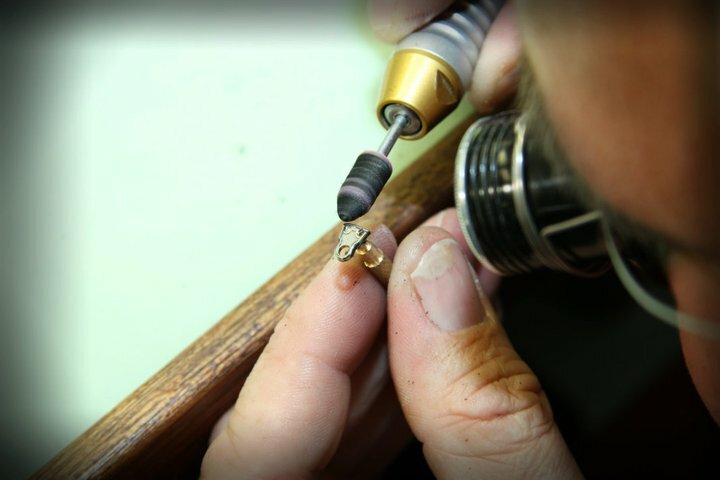 The case suffers the same special treatments as the rest of the components – high level hand finishing. It has a normal size for a man’s watch: 43mm diameter and 12.5mm thick, the Bezel is mirror polished and the sides have a satin finish highlighting the crown. The case materials were in time steel, titanium, gold and platinum and it has 3atm water resistance. 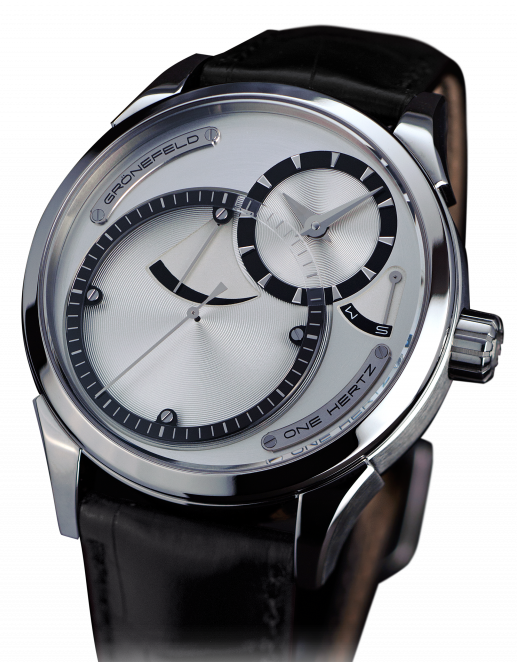 After the Classic Collection, the Gönefelds come with something catchier and sportier: One Hertz Contemporary. Comprising two models with 30 pieces each, the Contemporary comes with a higher contrast dial and a titanium case. 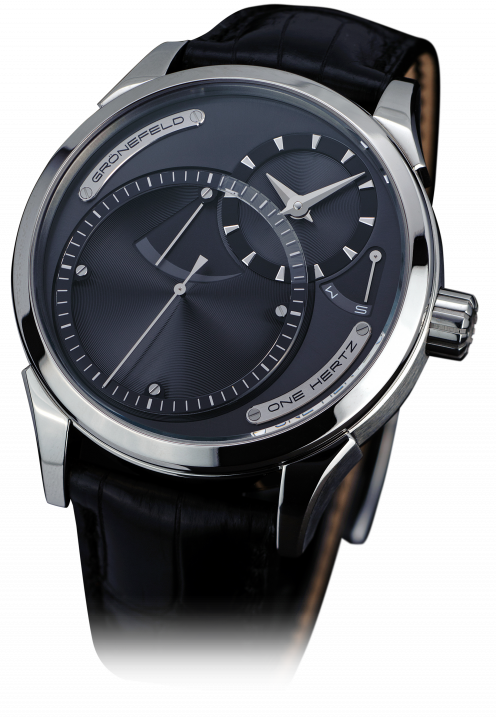 Another change in the design comes from the changed position of the power reserve indicator at 11 o’clock. The ‘One Hertz’ plate was removed and now the name is part of the seconds dial. 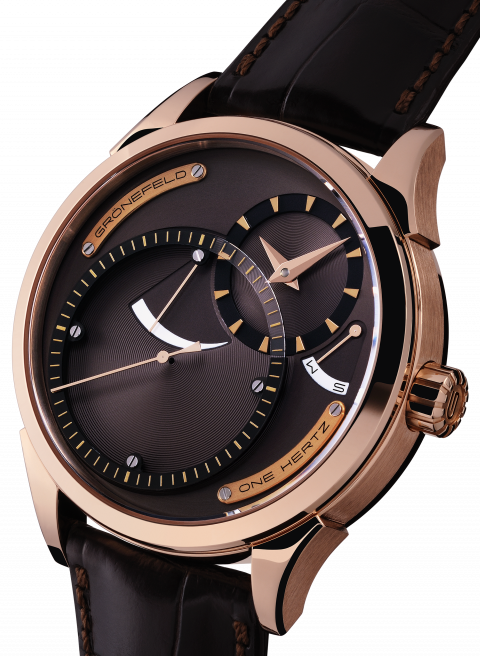 The open dial is also present in the One Hertz collections with the two models from the Techniek variant: 30 pieces in polished and brushed titanium and 30 pieces in black DLC coated titanium for the Techniek Nocturne. 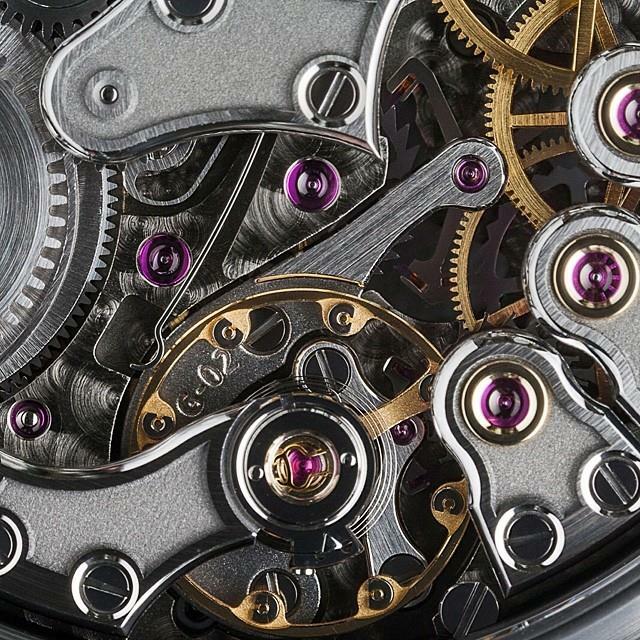 The Techniek series offer a different view: the almost nonexistent dial (the existing elements are engraved, beveled and finished by hand) reveals the beauty of the G-02 caliber, in this case with a mat finish. This sober, industrial view is a perfect description for the “less is more”. I personally love it. The DLC stands for diamond-like carbon coating: a nanocomposite coating that has the properties of natural diamond like low friction, high hardness and high corrosion resistance. 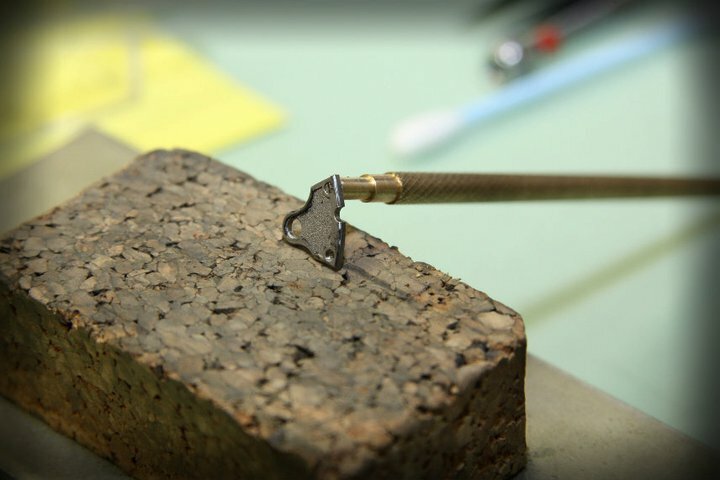 Simple said – high scratch resistance. The latest version of the One hertz is the most “warm” version of all. 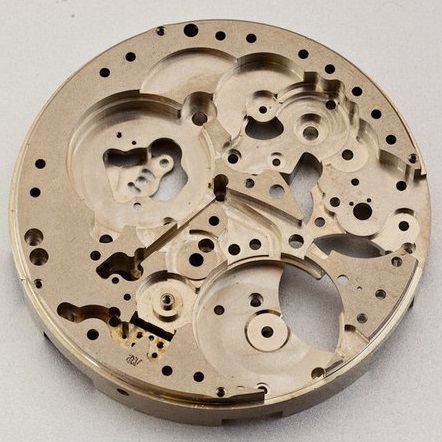 The dial has a warm butter cream color and the subdials and elements are changed with Rhodium plated elements with circular graining and beveled edges. 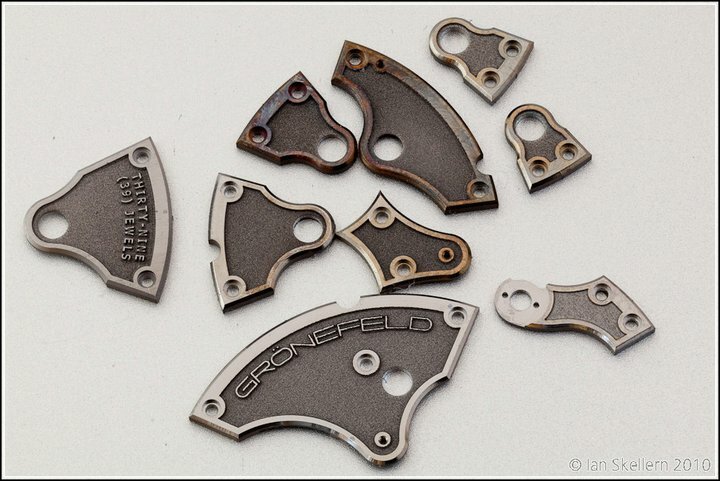 Even the power reserve indicator and the winding/setting indicator has their own elements. 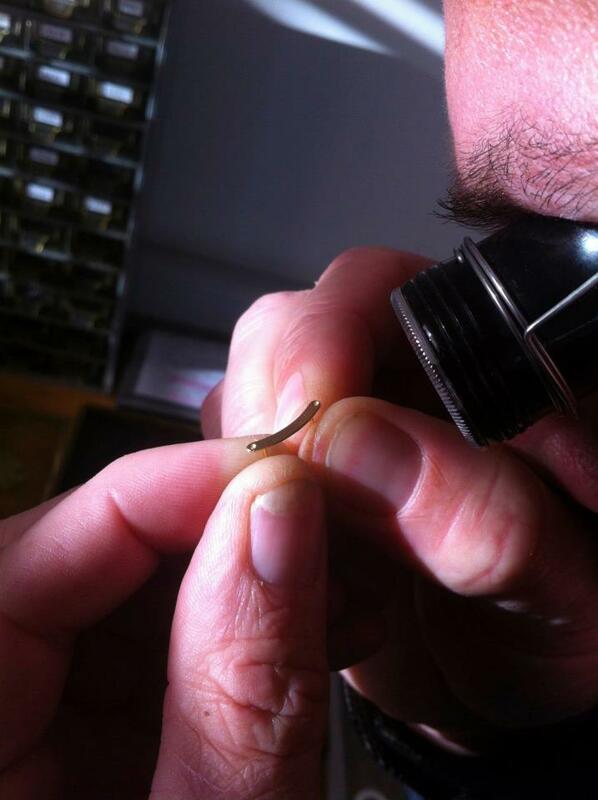 The sapphire for the seconds was removed, but the bevels are polished with diamond paste to a brilliant gloss. The One Hertz name is based now at 10 o’clock. The dial itself has a completely new approach: the crafted sterling silver is brass blasted till the frost finish is obtained. 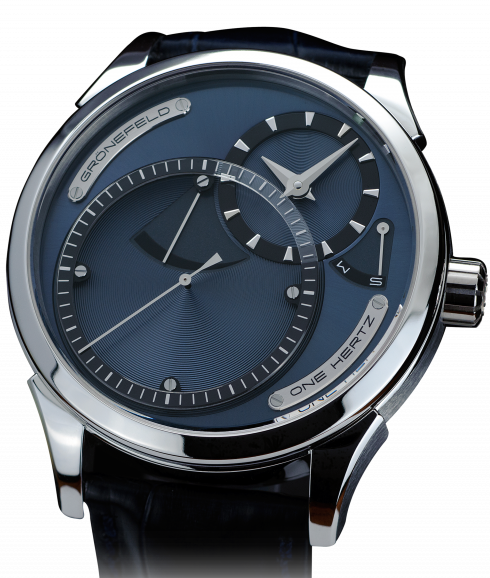 A final beauty touch are the heat-blued hands (with a white detail) that increase the readability of the dial. The case is in rose gold and comes with a brown alligator strap with a gold buckle with the ‘G’ logo engraved. 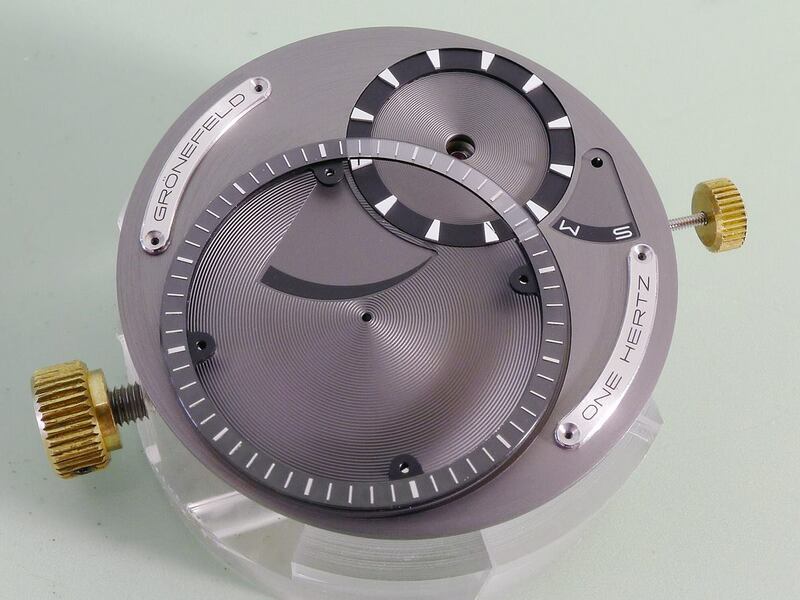 Here is a video of the horological brothers talking about them where you can see part of the manufacturing process and hear the One Hertz special tick sound and the great bells of the Grönefeld GTM-06 Tourbillon Minute Repeater. 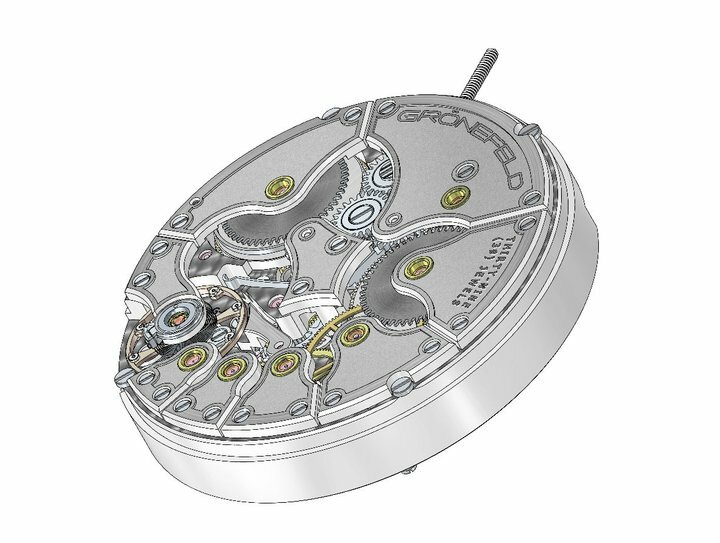 So this is why after studying this unique way of handling a complication, how the entire movement is designed and manufactured I fell in love with this brand. I am looking forward to their next design. 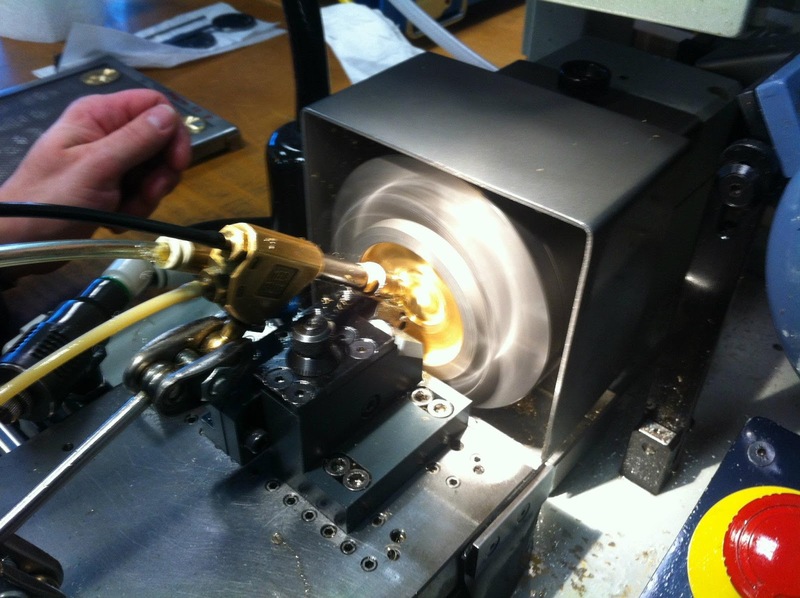 I would like to thank Bart and Tim Grönefeld for their time and passion, for explaining in detail the manufacturing process and for allowing me to use pictures and videos from their site www.Grönefeld.com and Facebook page facebook.com/GronefeldWatches. 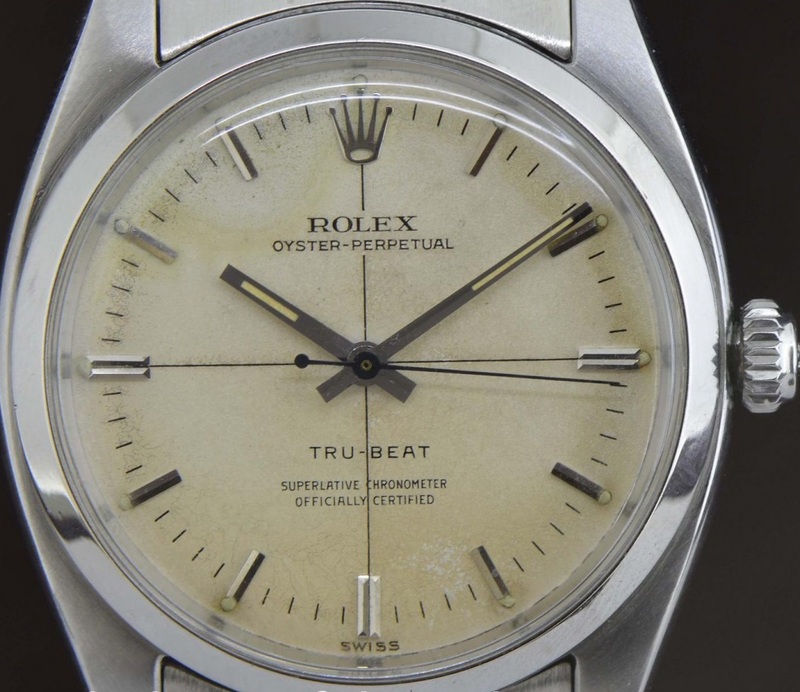 All the images from this post are from there (including all technical data), except the 1955 Rolex Tru-Beat available for sale at http://www.thebeautifulwatch.com/. Nice pictures and reviews can be seen on Fratellowatches (and another review of the Techniek), Hodinkee here and here (this featured a video with Bart explaining the One Hertz), A Blog To Watch, Revolution and many other can be found just searching on Google. It’s worth it.